Unfortunately, India’s first underground restaurant in Ahmedabad pulled its shutters down in a week of its opening due to operational issues. Don’t feel disappointed! The underground museum at Rashtrapati Bhavan in New Delhi is the newest of all tourist attractions in India. With the first phase opened in 2014, it is India’s first underground museum sprawling over 1.30 lakh square feet across three floors. The museum is designed by Saroj Ghose, an eminent museologist, and cost INR 80 crore. India’s first underground museum at Rashtrapati Bhavan in New Delhi is an enlightening walk through the era of the British Raj, the history of India’s freedom movement, and the offices of Indian presidents from Dr. Rajendra Prasad to the present president Pranab Mukherjee. With its public opening scheduled on October 2 coinciding with Mahatma Gandhi’s birthday, the Rashtrapati Bhavan Museum is full of historical interests, including unforgettable events in the history of India’s freedom struggle from the Swadeshi Movement of 1905 to the Jallianwala Bagh massacre of 1919 to the Dandi March of 1930. 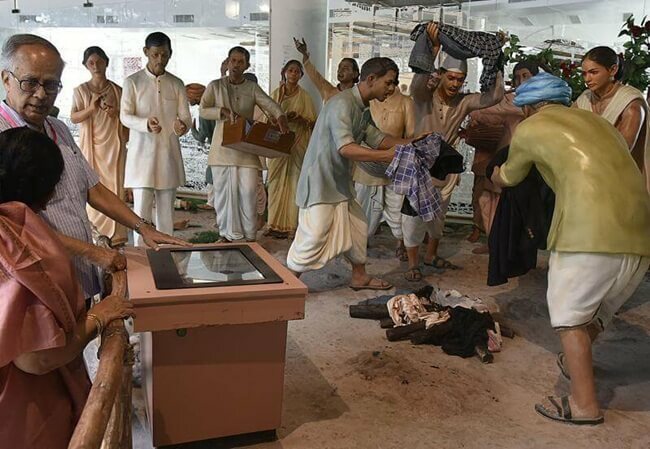 The underground museum has brought alive those intriguing stories of the fight for independence by displaying a number of life-size wax effigies which seem to bring alive the past. The replica of the Jallianwala Bagh Massacre in Punjab, one of the most brutal crimes against humanity, will surely give you goose bumps. What is the most unique about the Rashtrapati Bhavan Museum is projection of historical facts through virtual-reality storytelling. The museum features a giant television screen to offer a virtual tour of the President’s private study. You can see yourself with the first citizen of India in a virtual world by pressing the button attached to the television screen. The attraction of India’s first underground museum at Rashtrapati Bhavan also comprises a virtual reality experience of some landmark moments from the eventful life of Mahatma Gandhi, such as signing the Gandhi Irwin Pact at the Viceroy House and the Dandi March. The personal belongings of Indian presidents are among the best things to see at the Rashtrapati Bhavan Museum in New Delhi. You can see a collection of books penned by the former President APJ Abdul Kalam and the priceless gifts that President Pranab Mukherjee received on his visits to various countries on display. 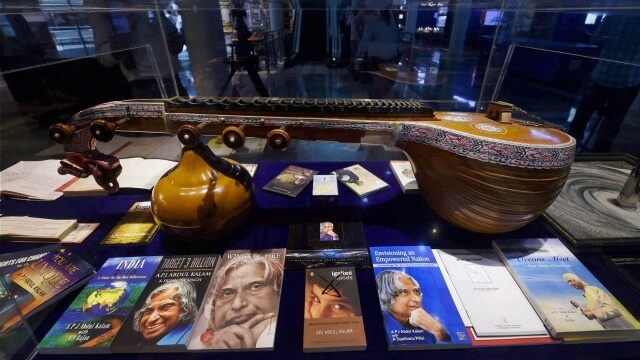 Interestingly, the Mercedes that the former Prime Minister Rajiv Gandhi received from then King of Jordan, and the veena that Dr. Kalam used to play in solitude are among the few show-stealing exhibits at the museum. The Rashtrapati Bhavan Museum also houses an art gallery with larger-than-life paintings, historic artifacts and lively portraits of Indian presidents on a spectacular display. The art gallery is like a corridor with a hidden passage to the glorious past of the Rashtrapati Bhavan. A section of the gallery exhibits rare photographs of Indian presidents with dignitaries from across the world. The museum also hosts a unique hand-shadow show to give a picture of how India elects its president and how the presidential office functions. The hand-shadow show also highlights significance of the national emblem of India and other such key aspects. What’s more? Visitors can get themselves clicked at the President’s Study at India’s first underground museum at Rashtrapati Bhavan in New Delhi. No doubt, this story-telling museum is one of the best among all new tourist attractions in India. Travel Beats is a digital lifestyle portal for the Indian community by IndianEagle, a leading international travel organization booking trips between New Delhi and USA. Subscribe to Travel Beats for interesting stories and latest updates from USA and India.